Each abdominoplasty will recontour the abdomen, but it is the location of the incision, the length of the incision, and the different uses of liposuction that makes each other different. You may have loose skin and fatty deposits around your tummy area from weight loss, post-baby body, or simply from the natural aging process. Whatever your reason is for a tummy tuck, Dr. Gill will listen. It is also important to discuss realistic expectations during the initial consultation. This is a significant portion of our initial consult evaluation is to hear and discuss your concerns, desires, and end goals and compare this to what your anatomy will allow. If your expectations cannot be met due to the limitations of your own body, Dr. Gill believes it is necessary to discuss this up front in a realistic and educational fashion. Not every tummy is suitable for plastic surgery. Dr. Gill knows it is his job to discuss this in detail, to pre-screen, and to explain what is realistic and what is not. Realistic expectations of a tummy tuck are midline scars, a very well conformed belly button, and a flat abdomen. This procedure is only designed to treat the abdomen and the flanks, not the lower back, nor the hips. "I am so pleased with the level of care that I have received from Dr. Gill and his staff. From my first contact with his office, I have been treated with kindness and compassion. Dr. Gill and his staff are very professional and are always there to answer any questions or concerns. I am a little over a week post tummy tuck and I am already loving my results. I can’t wait for bikini season!! (M. Robinson)"
"I am only a week out after surgery but I do feel like I am in very good hands. Everyone has been very personable and helpful with my questions and concerns. I had an extended tummy tuck and have had minimal pain. Dr. Gill came highly recommended and I am very happy with everything thus far. I have compared his work with other surgeons’ before/after and his leaves very little scarring, in comparison. I can’t wait to get to my final results!" "I am so pleased with the level of care that I have received from Dr. Gill and his staff. From my first contact with his office, I have been treated with kindness and compassion. Dr. Gill and his staff are very professional and are always there to answer any questions or concerns. I am a little over a week post tummy tuck and I am already loving my results. (M. Robinson)"
You will need to be a sustainable, stable weight. If you lose more or gain weight, then your tummy tuck outcome will be altered. This is why we recommend you be finished with having babies or being at a maintainable weight before this surgery. The best candidates for a tummy tuck will be healthy nonsmokers. Take note that a tummy tuck or UltraTuck is not suitable for obese patients. In the event that you have a traditional tummy tuck, you will have an incision from hip bone to hip bone right beneath the navel. After the incision is made, the skin is lifted and trimmed off. Then your abdominal muscles are tightened and repaired with sutures. If you have a smaller amount of skin on the lower part of your abdomen, you may be a better candidate for the mini tummy tuck. Men and women who receive this treatment still benefit from an abdominoplasty but will simply have a less expansive scar that is placed lower than a traditional abdominoplasty. An extended tummy tuck involves an incision just like the traditional tummy tuck (hip bone to hip bone), but it goes a step further by including the flanks. Dr. Gill typically performs an UltraTuck by combining a tummy tuck with ultrasonic liposuction for a patient with a large amount of overhanging skin on the lower body with soft tissue. The liposuction in an UltraTuck is more extensive. It not only covers the flanks but also the lower and upper back, hip, and thigh area. By rejuvenating this area as a unit (from upper back to the mid-thigh), the UltraTuck allows for supreme contouring and reshaping in combination with the tummy tuck. The utilization of ultrasonic liposuction treats the lower body very well due to the thicker dermal structures, which allows for a tightening of this skin to be more effective than traditional liposuction. In review, after the select incision is made, the skin is lifted and trimmed off. Then your abdominal muscles are tightened and repaired with sutures. If you are having your navel reconstructed, Dr. Gill will perform that part of your surgery before the incisions are closed with layers of dissolvable sutures. As part of tummy tuck recovery, you will be wearing a post-surgical compression garment, which aids in the reduction of swelling, making recovery shorter and more comfortable. After around six weeks of wearing a post-surgical garment and an abdominal binder, Dr. Gill may no longer require you to wear them. Standing upright and walking will be a bit painful for a while so you should take it easy for several days. Moving about becomes less painful once the abdominal muscles adjust and the incision heals. You can generally resume a normal routine in about two weeks. Workouts can begin again at around six weeks or earlier if you are given permission by Dr. Gill. The abdominal area will feel some discomfort and tightness, but you should feel healthy and normal again once healed. You will probably get one of the three most common techniques for abdominoplasty: traditional, extended, or mini. During your initial consultation, Dr. Gill will listen to your concerns and goals before performing a physical exam. Then, he can help you decide the technique that will produce your best results. You may also ask about the UltraTuck for even more results. Incisions for your tummy tuck will vary based on which technique is being used and the location of the incision. During all tummy tucks, Dr. Gill uses the thinnest incisions possible to minimize scarring. He also places incisions in areas that are less visible (through the belly button or in the pubic region) so they may be hidden by underwear or a swimsuit. Although you may get pregnant following an abdominoplasty, it will likely affect your results. Dr. Gill strongly encourages that you be finished building your family before you have any body contouring procedures. If you do become pregnant following your tummy tuck, another surgery may be performed to refresh your stomach skin. Can I get a tummy tuck with another plastic surgery at the same time? Yes. Combining plastic surgeries during the same operation day is a common practice in plastic surgery if you are healthy enough to endure it. At your initial consultation with Dr. Gill, talk to him about your desires so a personalized surgical plan may be created to match your aesthetic goals. You might combine abdominoplasty with a thighplasty for a lower body lift or other areas for all over body contouring. If you want to rejuvenate your body after having children or following weight loss, you might be an ideal candidate for a body lift 360º surgery or a mommy makeover. If you want to be blown away by your tummy tuck results, schedule a consultation to speak with Dr. Paul Gill at The Gill Center for Plastic Surgery and Dermatology in The Woodlands, TX. Dr. Gill is an exceptional plastic surgeon who is ready to talk about your concerning tummy area. Call and make an appointment for a private, one-on-one with Dr. Gill in our dedicated consultation area. A variety of factors can result in a sagging abdominal area that leaves behind baggy, wrinkled skin. We can have a chat about them all! We understand lax skin can be a troubling problem. 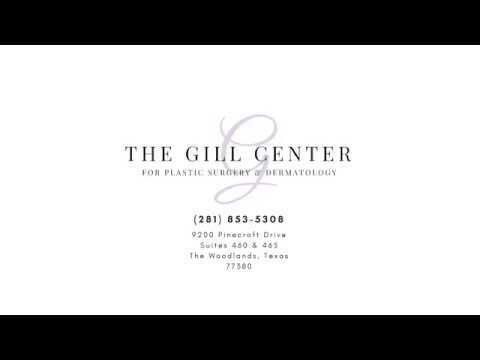 We invite you to call The Gill Center for Plastic Surgery and Dermatology for more information.